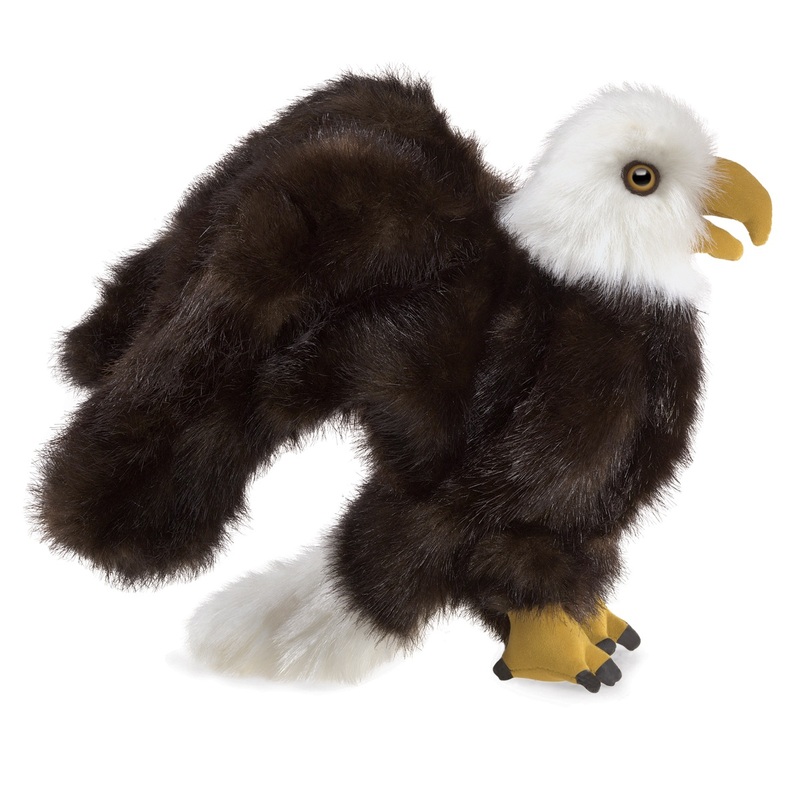 The Folkmanis Small Eagle puppet is a hand puppet with a movable beak and two wings. 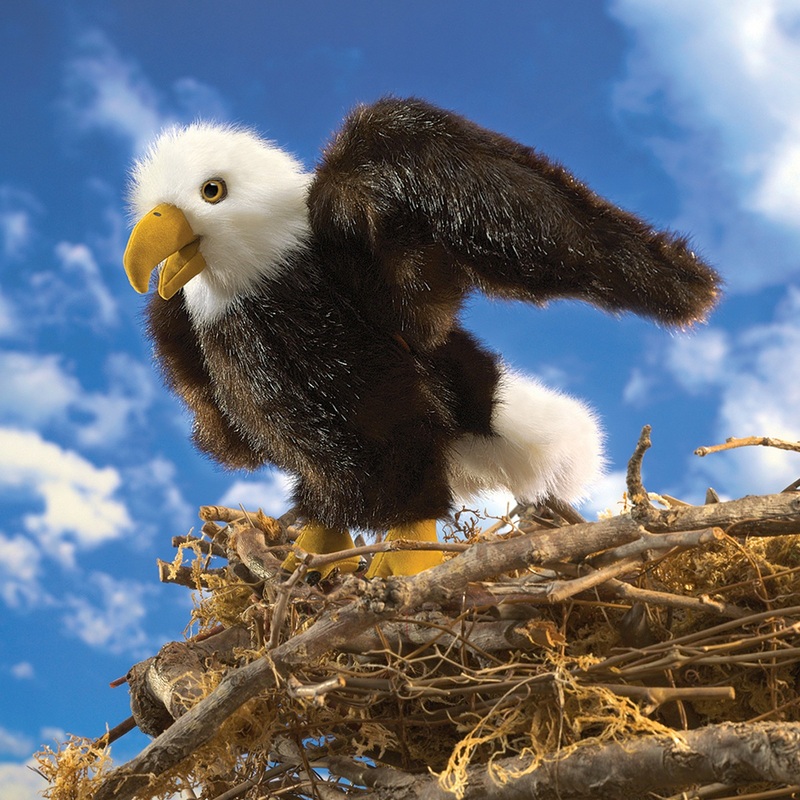 Released in March 2018. 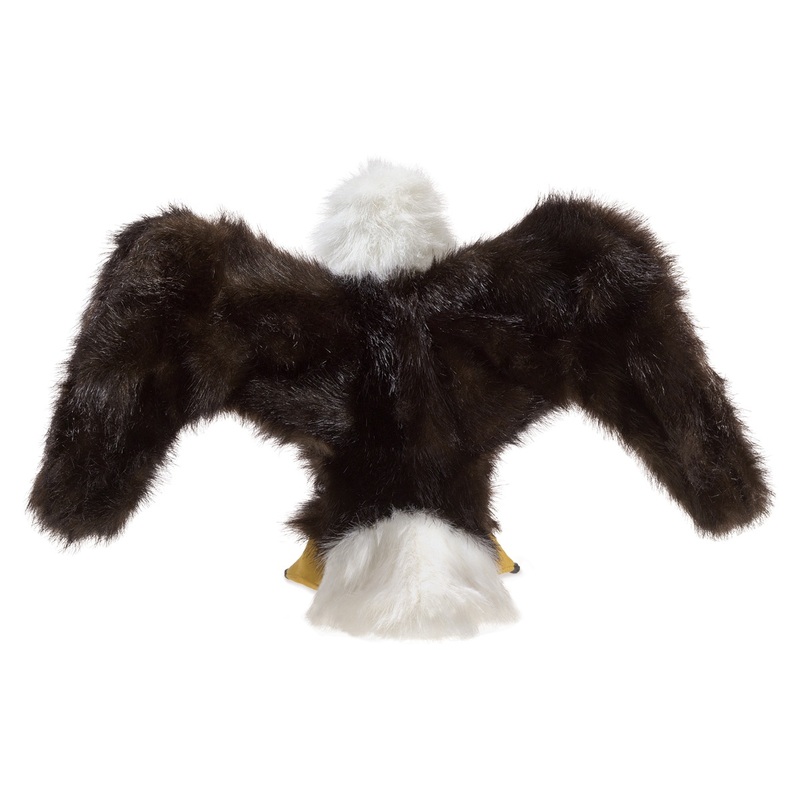 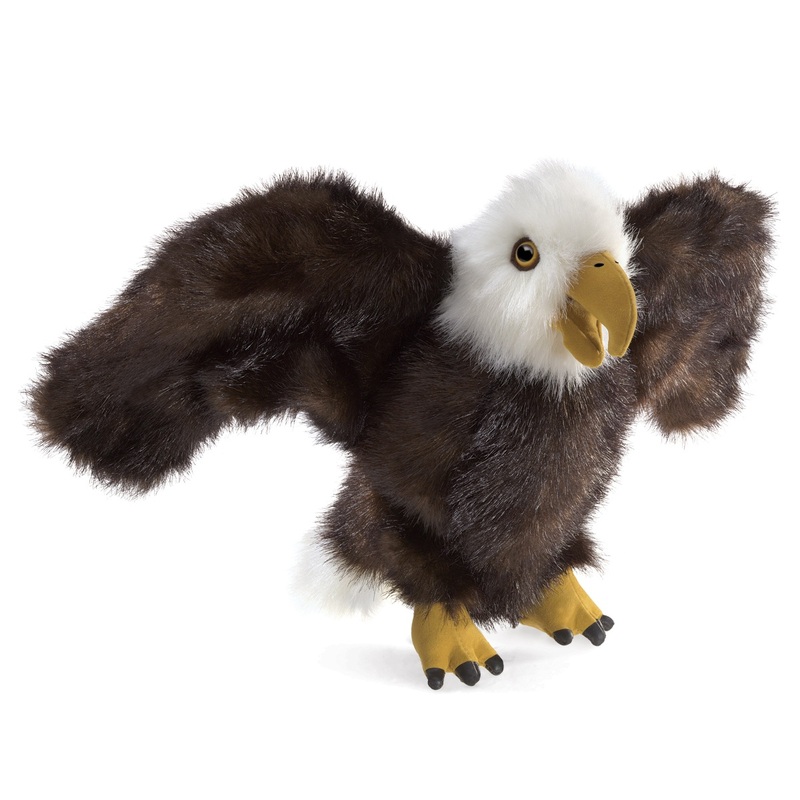 The small eagle hand puppet is 12 inches long and 10 inches tall with a 20 inch wide wing span ( 30.5 x 25.4 x 50.8 cm).